Kids love playing with magnets. 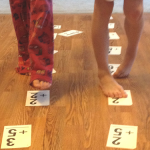 When we did our magnet exploration the kids kept coming back to it throughout the week. 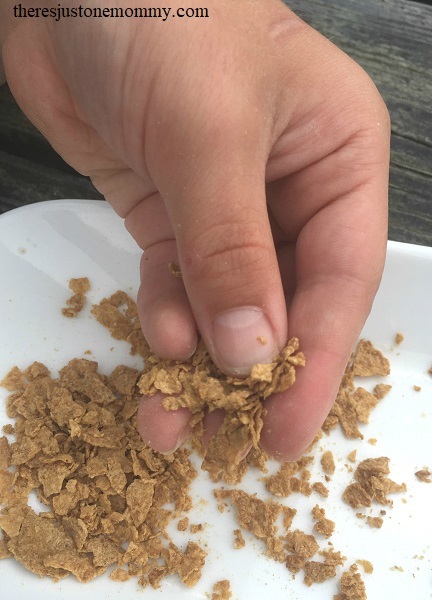 You can impress your child with this simple experiment to extract iron from cereal. 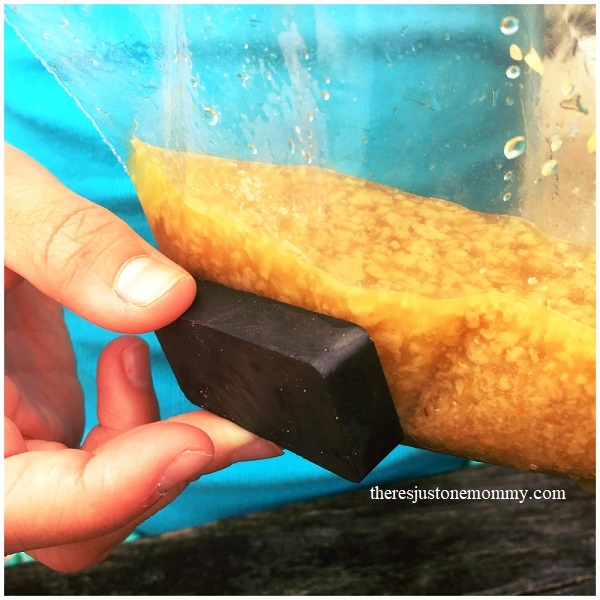 No matter what your child’s age, this magnetic cereal experiment will get quite a reaction. Who says breakfast has to be boring? A little kitchen science will give that first meal of the day a whole new meaning. Pour a small amount of water into a shallow dish. Float 2-3 pieces of Total cereal on the water. Now is the perfect time to ask your kids what types of things are attracted to magnets. Metal! 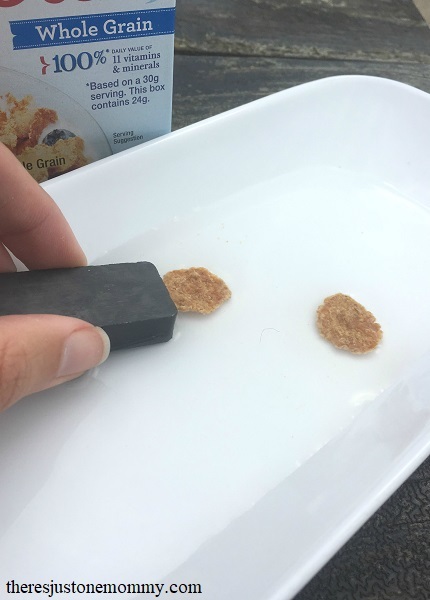 Place your magnet close to one of the pieces of cereal and watch what happens. The cereal will move across the water towards the magnet! Explain that the breakfast cereal is fortified with iron. You might even want to look at the nutritional information on the side of the cereal box and point out where it mentions iron. In today’s experiment you’re going to extract iron from cereal. The first step is to break the flakes up into tiny pieces. 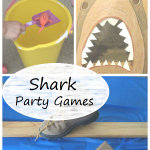 Your child can do this with their fingers, or they may choose to use a rolling pin. Place the crushed up cereal in a small zippered plastic bag. Fill the baggie 1/3 of the way with water and let the mixture sit for 5 minutes. After 5 minutes have your child shake the bag a little while holding a strong magnet against the side of the bag. 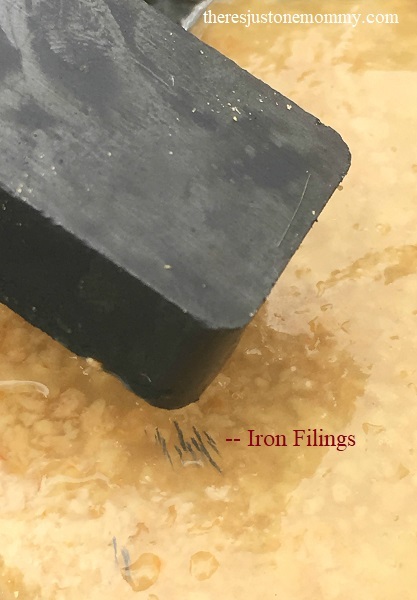 The iron filings will collect against the magnet. This is easiest to see if you lay the bag down on a flat surface and then slowly lift the magnet away from the bag. You can even use the magnet to pull the dark iron pieces around the bag of cereal. 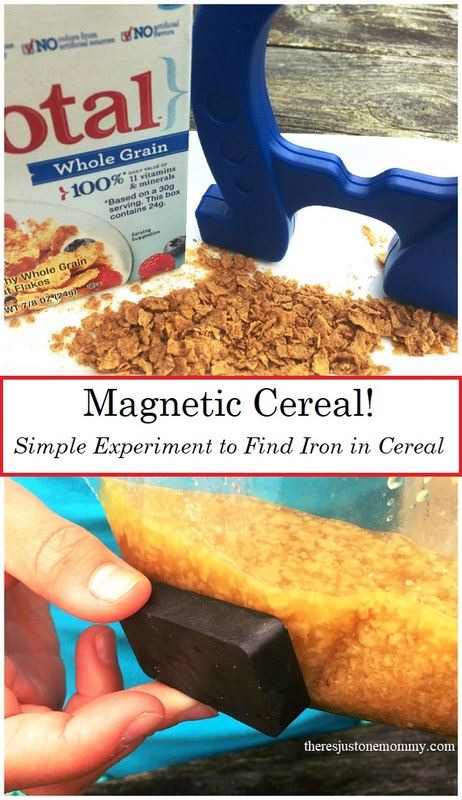 Want to take the magnetic cereal experiment a little further? Try it with several different cereals to see which one has the most iron in it. Then check out the nutrition labels to see if you’re results match up. 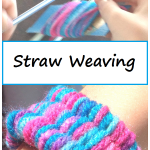 Get more hands-on learning activities delivered to your email by subscribing to our newsletter. 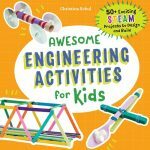 Make a Soda Pop Geyser!